The Gere Foundation is "a small, grant-giving organization" dedicated to providing support to humanitarian causes worldwide through philanthropic assistance. It is a 501(c)3 nonprofit organization established in 1991 by Richard Gere, a successful American movie actor, and long-time "human rights advocate." 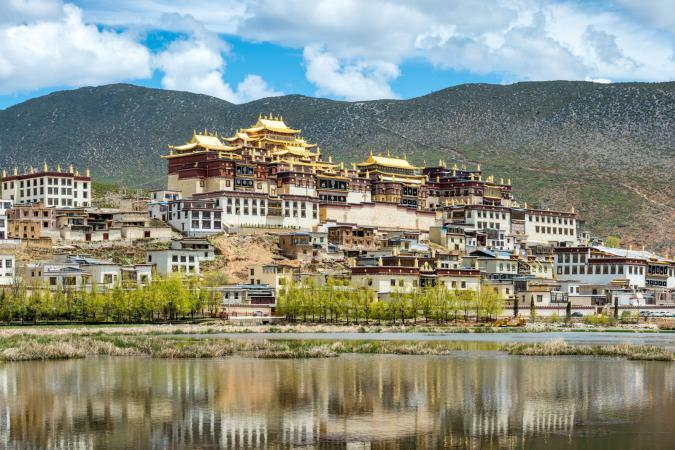 The Gere Foundation's grants are directed to "health, humanitarian and educational projects worldwide," with special emphasis on the cultural preservation of Tibet and the Tibetan people, a cause that Gere has championed for decades. The group also provides financial support to AIDS/HIV research and care, and other humanitarian causes. The organization is a private foundation that provides grant funding only to selected non-profit organizations that must be invited to submit proposals. They do not accept unsolicited proposals, nor do they provide funding for capital campaigns, individuals, film projects, or any for-profit entities. Gere has been an advocate for Tibet since the 70s, long before he started the foundation that bears his name. The foundation directly contributes to The Tibet Fund, an organization with the primary mission of preserving "the distinct cultural and national identity of the Tibetan people." The Fund works with the many Tibetan refugees residing in Bhutan, India, and Nepal, as well as providing assistance to those who are in Tibet itself. The Gere Foundation is headquartered in New York. Mollie Rodriguez is the organization's Executive Director. She has worked for the foundation in that capacity since 2008, though according to her LinkedIn Profile, she did consulting work for the group prior to that. While the foundation at one time encouraged members of the public to donate through a sister public charity called Healing the Divide, that group does not seem to be active as of Spring 2018. Gere is one of many celebrities who chose to start charitable organizations to help fund important causes and provide assistance to people in need. While the Gere Foundation is chartered in the United States, its impact is felt around the world. Even so, his charitable work does not stop with the foundation. According to Look to the Stars, Gere is also co-founder of Heroes Project, which aims "to mobilize societal leaders and the media industry to fight HIV/AIDS in India."